Phillip Grubauer. Credit: Gary A. Vasquez, USA TODAY Sports. 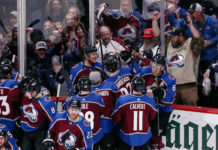 The Colorado Avalanche have had an emotionally draining season, but there is currently hope as the club pushes for a wild card berth down the final stretch. Colorado has won seven of its last 10 games, and if the season were to end today, the Avs would be in the postseason. 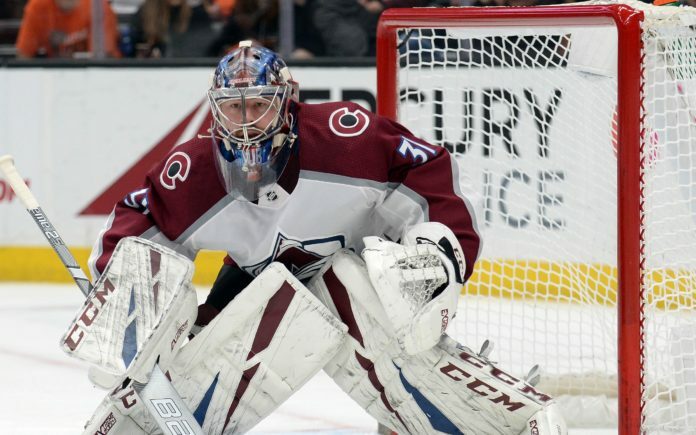 While the club is more known for its lightning quick offense led by Nathan MacKinnon – one of the biggest reasons the Avalanche have turned the corner has been Philipp Grubauer’s strong play between the pipes. 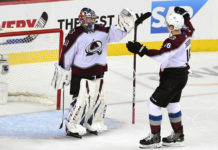 The 27-year-old goaltender has usurped Semyon Varlamov as Colorado’s primary starter down the stretch, and has played out of his mind in the process. In his 10 starts in March, the Avs were 7-3 overall and 6-1 over the last seven – the one loss came in overtime on the second night of a back-to-back with Chicago. Over his last seven starts, Grubauer has given up more than two goals once, and it didn’t even matter because it was in a winning effort. What’s more, Grubauer, has not only has helped the team get back to its winning ways – but has done so while the club deals with injuries. 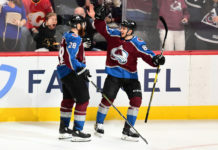 Both Gabriel Landeskog and Mikko Rantanen have missed time in recent weeks, so nobody would have been that surprised if Colorado’s frustrating year came fizzled out. Instead, the Avs have looked like one of the hottest teams in hockey and seem to have found their stride at the perfect time. With four games remaining in the regular season, the Avs will need to continue to perform well in big moments. Phoenix is currently nipping at Colorado’s heels and with three games against playoff-bound teams, the Avs can ill afford to relax. The Avalanche and Blues will drop the puck at 6:00 p.m. MT on Monday night. Colorado will then return home for games against Edmonton and Winnipeg, before facing the Sharks in San Jose on Saturday.